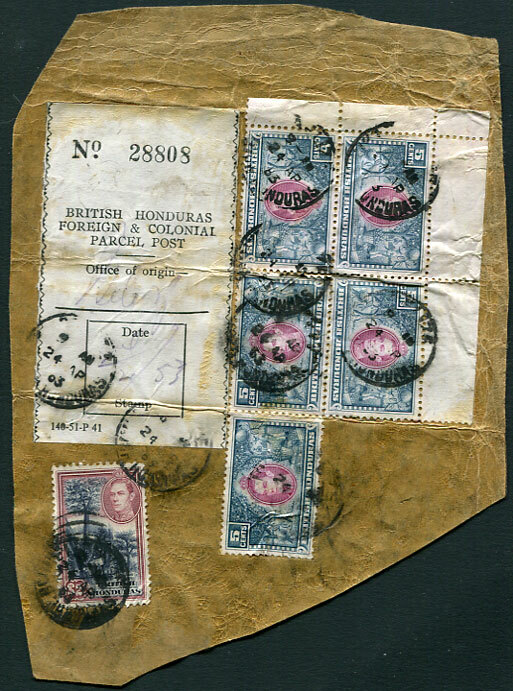 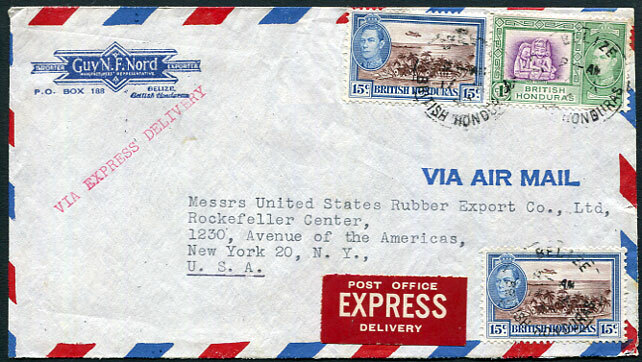 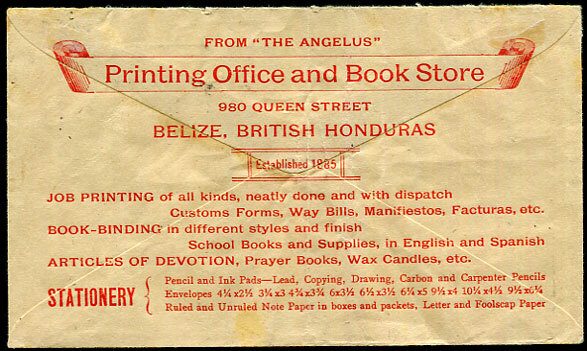 1953 large piece painted with gum to which block of four plus single KG6 5c, and single KG6 $2.00 affixed pmk'd Belize 24 AP 53 alongside tied PARCEL POST form (140-51-P-41) No. 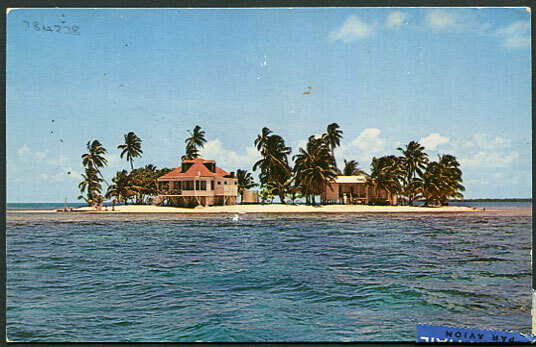 28808. 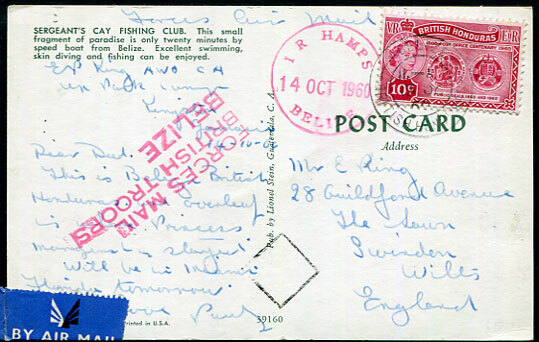 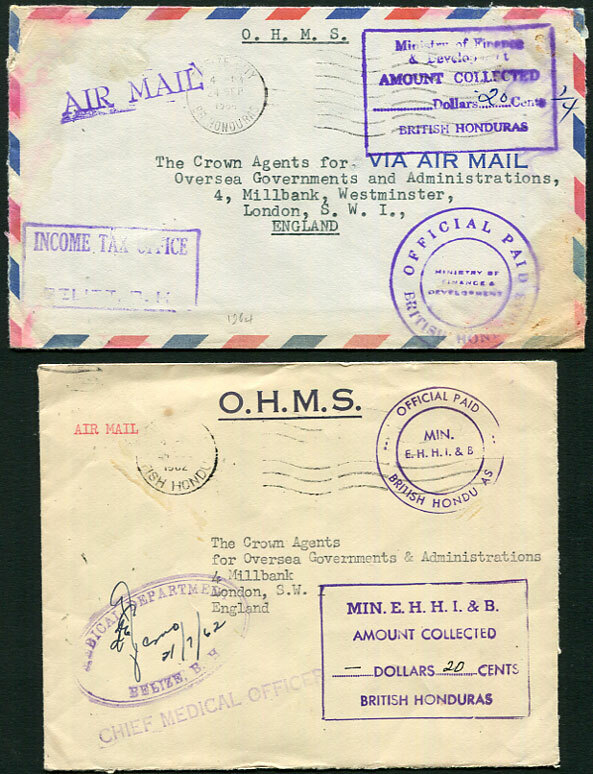 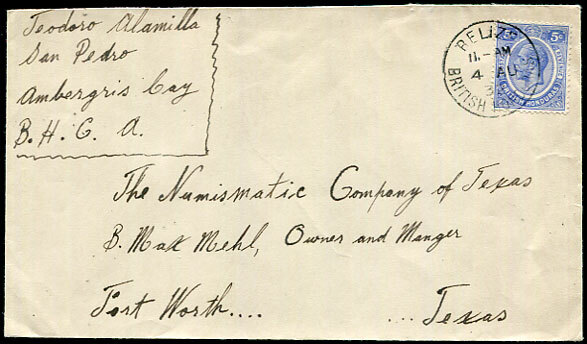 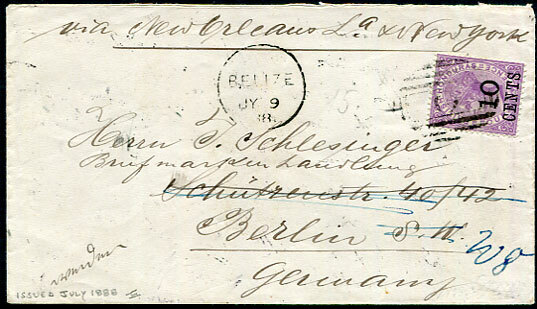 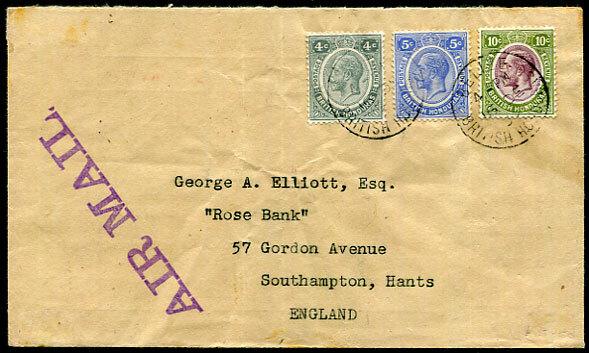 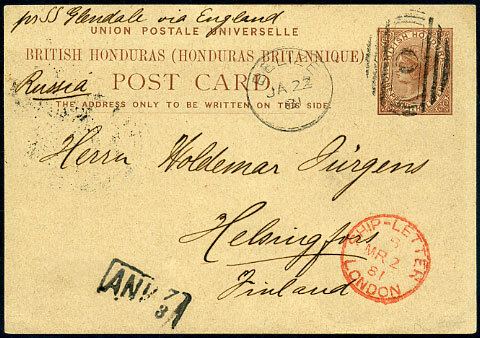 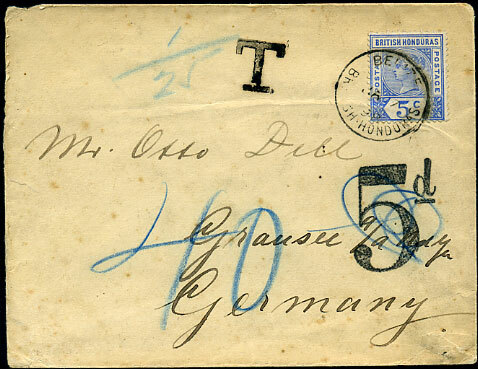 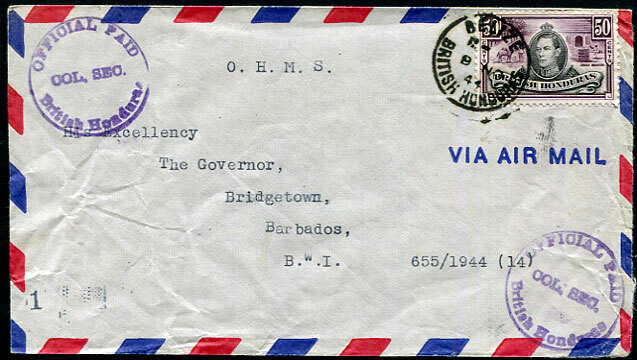 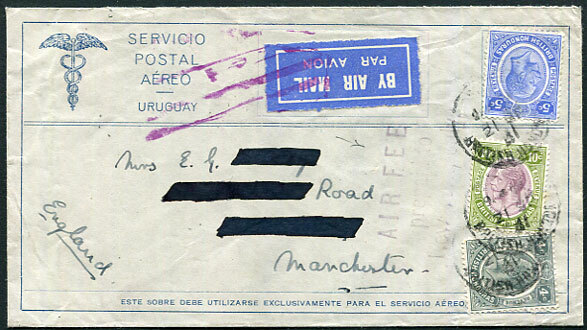 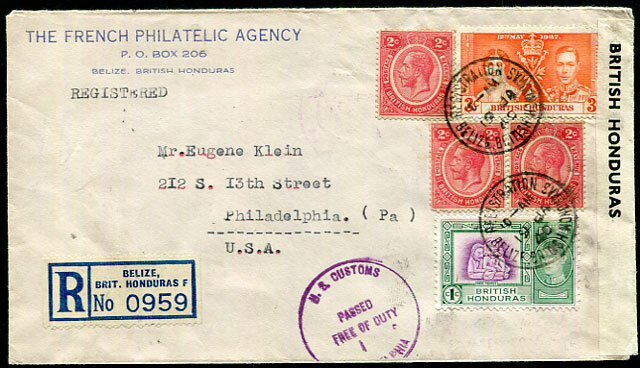 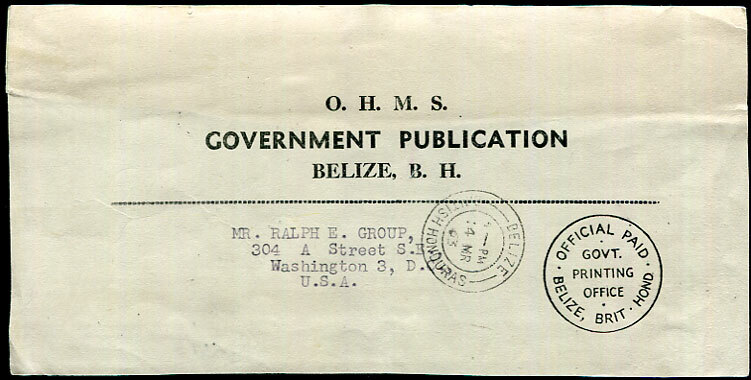 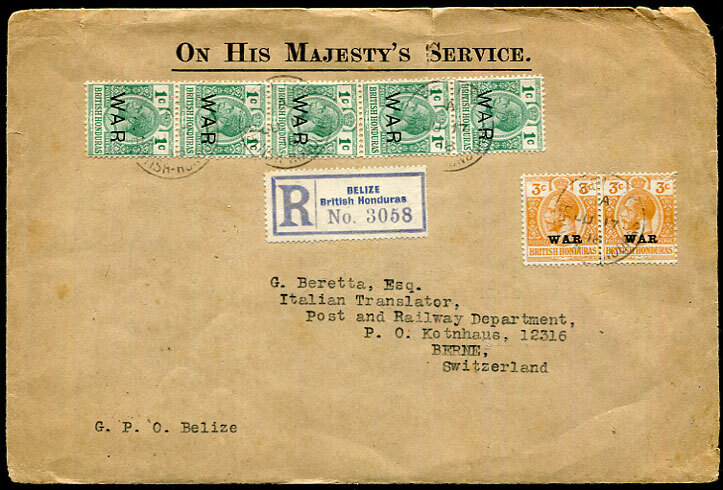 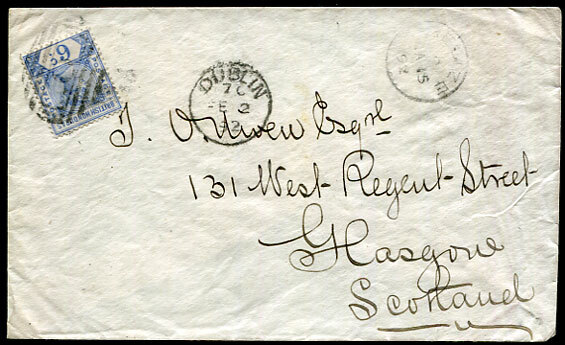 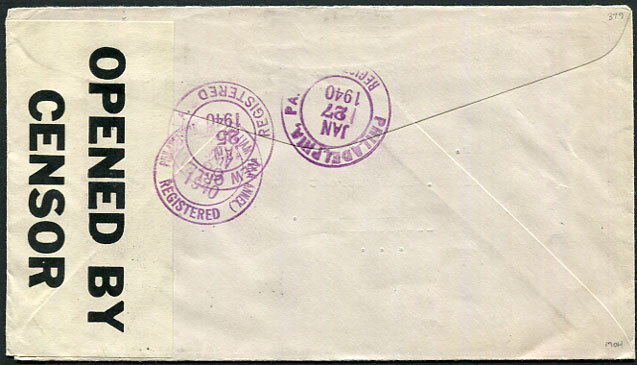 1932 cover with San Pedro sender address to Fort Worth, Texas with KGV 5c pmk'd Belize 4 AU 32. 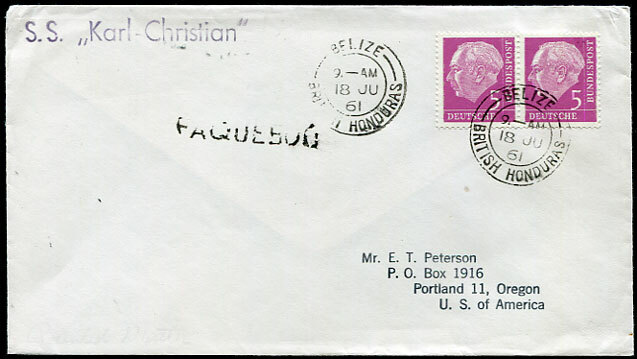 1961 cover with Germany 5pf pair pmk'd BELIZE 18 JU 61 with S.S. "Karl-Christian" and "PAQUEBOT" handstamps alongside. 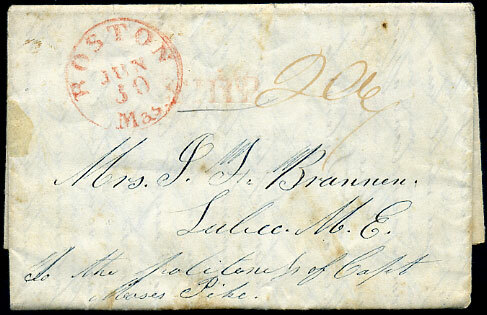 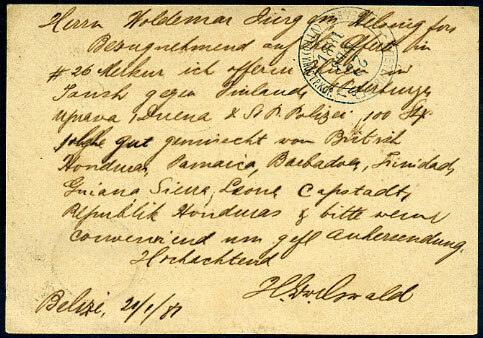 1840 entire headed "Sch Outesie at the town of Belise in the bay of Honduras Sunday June 7th 1840" to Maine, USA landed red BOSTON JUN 30 with red SHIP and rated 20c. 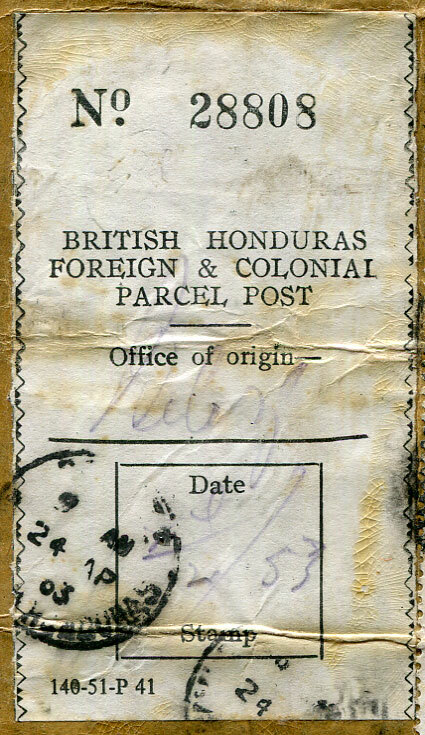 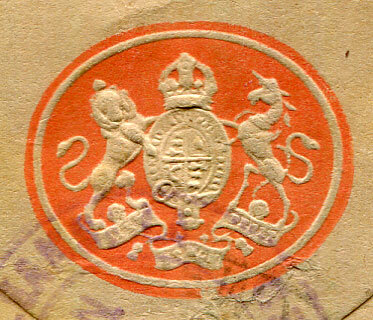 1835 entire written June 17th from Anne Edgar, 6 Mary Place, to her son Alexander Edgar, 2nd West Indies Regiment, Nassau, New Providence, Bahamas re-directed Honduras (docketted as received 18 Oct 35) rated 2/5 plus Scottish toll tax "½". 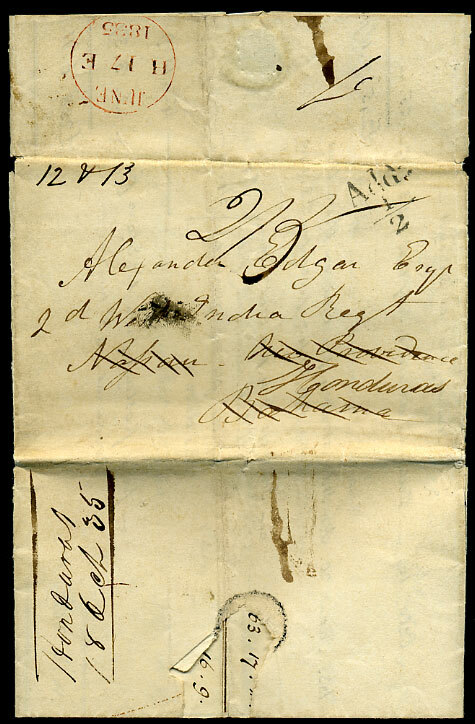 Scottish toll applied on more than two wheel mail carrying coaches period June 18th 1813 to December 5th 1839.